In the 14-minute video shown below, Dr. Patricia Green shares an 800-year-old prophecy from Rabbi Judah Ben Samuel regarding Jerusalem. 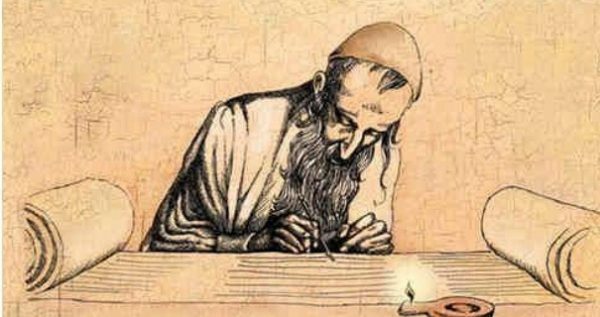 Rabbi Judah Ben Samuel lived during the 12th century and consecrated his life to God. He wrote the following prophecy in AD 1217, which has so far proven to be accurate with only the final part of it remaining to be fulfilled. The first part of his prophecy was fulfilled exactly 300 years later when the Ottomans took control of Jerusalem in 1517. The second part was fulfilled 400 years later in 1917 when the Ottomans lost control of Jerusalem 400 years later, which equals eight jubilees because the year of jubilee occurs every fiftieth year (Leviticus 25:1-12). The Ottomans lost Jerusalem to the British on September 17 1917. The third part was fulfilled during the next fifty years from 1917 to 1967 when Jerusalem was known as a no-man’s land. The fourth part was fulfilled on June 7, 1967 when Israel took control of Jerusalem during the six-day war, which was exactly fifty years after the Ottomans lost it in 1917. 1967 also signified the start of the Messianic end time. They have maintained control ever since then. Israel is already facing increasing pressure from the International community to divide Jerusalem giving the eastern half to the Palestinians. On December 23 2016, the United Nations Security Council passed Resolution 2334, which claims Israel is in violation of International law due to their possession of East Jerusalem and other parts of their land. On January 15 2017, seventy nations met at the Paris Peace Conference to make plans on how to force Israel to surrender their land. Z3 News contributing author Fernanda Menagassi Lojac shared an amazing dream in which she saw severe disasters striking the United States as a direct result of plans made in secret during the Paris conference. News reports suggested the danger passed as the UK refused to agree, but based on what Fernanda saw, the truth about really happened at the Paris agreement was kept secret. The Lord Jesus said we would not know the day or the hour of His return, but he did not say anything about knowing the approximate year. Based on Judah Ben Samuel’s prophecy, the end of this age could come within the next twenty or thirty years, based on the following assumptions. Based on what King David wrote, one generation is seventy or eighty years. If the Messianic end times began in 1967, using King David’s definition would put the end in 2037 (seventy years) or 2047 (eighty years). In this video, Dr. Patrica Green also shares what God showed her about President Donald Trump’s role in the construction of the third temple. I shared a transcript of her comments in a separate post. P.s also meant to mention we will need much prayer at the dividing of Jerusalem…It will come in its time. Thanks Diana. I fixed it. Well said Diana , also if we study all Dudumans prophecys , they indicate to me that when the Psalm 83 war starts , it is also the start of WW3 which Dr. Patrica said lasts five years for America . Thank you John,wow how fast we have arrived at this time….You always knew it was coming and then….bam.. here we are..5 years of war with Russia….I’m not sure how it all unfolds…Dimitri was a blessed servant of God….and warned the U.S.of so much..right? Diana I got to meet Dimitri Duduman at a Prophecy club meeting in Dallas in 95 , I have never felt the Power of GOD on any one like it was on Dimitri , it covered & surrounded him , many felt it that nite . That little 5ft. 4 in. man made Texans quake , shake & cry and showed the Supernatural to confirm Duduman . Wow John,I never knew that about Dimitru,I did attend a church where the pastor invited Dimitrus grandson Michael Boldea often.Men of high integrity..The gospel….simple and unadulterated. Well,I see that’s where we are heading back to. Great men of God who laid down their lives for the gospel.Grace,grace…I would like to be counted worthy. John, would you supply a reference for Duduman’s indication that Ps. 83 war will start at same time as WW III. Same with Dr. Patricia Green’s statement that WW III lasts five years. I don’t question you but it is very important. Thanks. Also, James thank you for posting this important message which could be the most important message since Terry Bennett’s message from Gabriel on the 21 years. Patricia Green has given us additional support that we are in a Jubilee year which is very significant. Bob you have to remember Duduman was sent to America and all his words relate to that assignment , took me a while to understand that . Go to Dudumans web site – Hand of Help Ministries which has all his words . Sent to America , Aug. 1984 & The Message for America , Sep. 1984 show it is a world war and how it ends . Israel and America Nov. 22 1995 & The Future of Israel , June 17 &18 1995 show the connection to Psalm 83 & America . Also there are keys in , The Beast Strikes , Jan. 21 1995 & China & Russia , April 22 1995 . I heard Dr. Patricia Green say on an interview with Stan Johnson that the war would last five years , I am trying to find it . John, Pat Green said the war would be of short duration. I like Pat but she also said a tsunami would hit hit the US by January 20th. Bob I think it will be a very long war , starting in Israel , then coming to America . After a number of years we are almost defeated and the war moves around the world till it ends where it started in Israel . Thanks John Barry, I’ll check those out. Do you think Ps.83, Ez.38-9 and Armageddon are part of the same war as Finis Dake does? I have never read Finis Drake , but I do believe they are all the same war . Bill Salus does an excellent job in his book showing that the Ps.83 war is a separate war and happens first, with Israel winning and actually coming out with more land I believe. Because they win it will provoke the rest of the nation’s to come against her in the Gog and Magog war. Nancy and John, I’ve listened to Bill Salus and don’t buy his interpretation. Gog is the A/C. Magog is likely the Muslim “stans” south of Russia. He doesn’t understand that the A/C is troubled about “tidings out of the north”, Dan.11:40, is Russia. He also believes the old thinking that the A/C rises out of the European Union when Germany and northern Europe never was part of the old Roman Empire from which the A/C rises from. He’s the Syrian. Most of the nations attacking Israel are Muslim except for Spain, France, Italy and Greece as per Terry Bennett. It sounds like you have been faithful to sow good seed into the lives of your children, so you can now take comfort in knowing God will be faithful to produce in them a good harvest from those seeds. Thank you. You are right and I know, that I know, that I know, that their is an incredible harvest waiting from the seeds that have been planted in these two kids. I apologize that sometimes I get so overwhelmed with where we are in the scheme of things and my son will be graduating this year. I have literally given my life (everything in me) to teach these kids about Jesus and His Kingdom along with their regular education. My son is about to be a Cadet Lt. Col. in the USAF Civil Air Patrol, he has been to NASA last year working with engineers, since being accepted to be a NASA Aerospace High School Scholar. He has been accepted to the Honors College of a couple of different Universities. It seems very overwhelming (new waters) as a mother letting her child go and then knowing what he is heading out into. I appreciate the Words of comfort. HR, you are right to be concerned because 75% of Christian kids lose their faith in college. You must make the case for Christianity using logical and factual arguments. Too many children believe only because their parents believe. Evolution has been totally discredited and you must explain the reasons. There is a great TV show, “I don’t have enough faith to be an atheist”, for example. There are great books available to make the case and then your kids will be able to stand up to secular teachers. Did you know their is enough information in the DNA of just one of your cells to fill all the Sunday NY Times of the last 150 years? We have all the answers but we must prepare our children. Many Christian schools don’t build this foundation in their students. Is it a coincidence that the USA was the greatest country of all time and was the most Christian? On the other hand Russia, China, Cambodia and Cuba were Hell on earth. Give your kids the Christian foundation stones and when they grow old they won’t depart from it. Yes, Bob that is true. My kids are very strong in their faith. My husband and I have equipped them with all of the Truths that have been revealed to us and the kids have lived it all of their lives. They have seen many miracles to their own prayers not to mention in our own family. My children are more than prepared. The main reason the Lord called me to homeschool was to teach them everything that we can about Him and keeping them from pagan influences until they are strong enough to stand on their own. I am not nearly as concerned about my kids falling away as I am about the hostile, evil environment that they have to contend with. Nothing like we EVER had to deal with at their ages. Thank you for your comment. Your children belong to GOD. You only get to take care of and teach them for a short time. Ultimately they eventually becomes HIS responsibility, just keep praying for them. “You and your household shall be saved” (Dr. Bruce Allen has a good story about this, husband was saved on Thursday at 1:00 pm). Thank You Martin. Short time is an understatement. Thank you again for your kind words. I don’t mean to discourage you in saying this, but what you have taught your children will at some point need to be challenged. They need to face the dragon in order to test their own fortitude and strength, you say they have been taught in. We are all called to be “overcomers”, and in order to be that we have to deal with things needing overcoming. It’s like all the things we learn in college or trade school, it will be no good, unless put to use in a practical environment. Theory has to become practical application. We have to be peculiar in the midst of a crooked and perverse nation, not hidden away from it. A light on the hill, not hidden under a bucket. Please, do not take offense at my words. I just would like to encourage you to prepare for greater warfare, as your whelps are growing up and ready to leave the den. It cannot be avoided. Cie, no offense taken. I completely understand what you are saying and know this to be true also. They are confident, strong spirit-filled kiddos. As a mother, it does hurt to know that they have to be out there in the mess. I have never lied to them and have equipped them to the nth degree. Sometimes it is not easy. I know that He will be faithful in keeping them. On a side note…..they certainly shine brightly. Thank you for your words. I appreciate all you’ve done. But think it’s not ABOUT your children. There are thousands of children all around you going to hell which God is having the good grace and mercy in order to give them more time to make it into the kingdom. Pray for these. Reach out to these. Be a spiritual mother to others to and trust God with your own children. Very thoughtful analysis, Derek. God bless you and yours! James, in the 2nd to last paragraph, I think you meant to say 2037 or 2047. Thanks for catching that error. I fixed it. Very interesting prophecy I was never aware of. Thanks for letting us know about it. I believe the times he prophesied have been fulfilled and are being fulfilled. More joy and enthusiasm for the holiness of God is much needed now to receive answers to prayer and more discernment. I think Satans tools of division and deceit have been multiplied as of late and we need to realize we are a body of Christ and work better in unison. I am guilty of this as well. Time is short and we need to show more faith and boldness but show it in love with compassion. Love covers many sins. The love of many will grow cold in the last days and I see that coming true each day. Love is the thing that we must have in our heart as a child of God. We must love one another John commanded it and Paul said it was the greatest and the most excellent way. Whatever we do for the Lord it must be done in love! Hope, the time chart of the link you provided labels 2017 as the Day of the Lord which most agree is the second advent. However, your link was an article about the Judah Ben Samuel prophesy not the article from the Israel Today Magazine. Regardless, most believe there must be at least 7 more years before the Lord’s return so this article and the Israel Today article don’t seem to be in harmony with current events but they could point to something big happening this year. Thanks Bob, I apologize if my comment was not clear that it was a PDF based on the Rabbi himself from long long ago! Whenever I hear quotes from someone, I like to read the message in full and thought this may help others as well. God bless you! I’m very familiar with this prophecy…my understanding is the END of messianic endtimes begins in 2017 and we don’t see the next Jubilee in 2067. I believe the war in Israel will happen sometime in the latter half of this year. War card has a value of 13 and is in the April spot, 1 May hyperinflation, 10 June 2017 Jerusalem surrounded??? Any ideas on the “world” card… 21 Feb 2017? I’m studying it now. Any war in Israel will happen after June 7 2017, because that was when Jerusalem was reunited 50 years ago. Matt NZ, isn’t interesting that the Rothschilds understand it’s a battle between the Christians and the communist NWO elites as one looks at the Wittenburg Church? Last century they had their Russian Revolution while God was lining up Israel with the Balfour Declaration the same year. They must be convinced that Satan is going to win but they don’t understand that sin will blind you from the Truth. In 1939 Stalin and Hitler made a pact and Stalin took half of Poland, Lithuanian, Latvia, Estonia, Finland, and part of Romania. Churchill declared war on Germany and the rest is history. Later Stalin took the rest of Eastern Europe, started the Cold War and GB lost their empire and was broke. Almost no one knows the true story just like all politics. They have been pitting us against each other for centuries. I just thought that comparing the Economist cover with Dr Green’s video might be a help. Matt, didn’t she prophesy a tsunami before January 20? And how can 2017 be the beginning of the Messianic Age? I don’t know Bob, I do know that the REV 12 sign will be 23 Sept 2017. 21 Aug 2017 there it a total solar eclipse that will traverse the entire USA (Entering at the columbia river, West coast and exiting around Charleston SC on the 33rd parallel). Point of Maximum eclipse is right over the center of the New Madrid fault I think we are in for a wild year. NZ won’t escape either having helped table UNSC res 2334 against Israel… interesting times. Interesting; thanks. Just one observation: the last sentence (namely: Jerusalem will remain under the control of the Jewish nation until the 10th Jubilee) of the ‘prophecy’ is nowhere to be found… strange. Neither in English nor in German. Who added it up? I’d counsel to check it first well out for it does not result to be authentic. thanks. Btw the text in German: ‘Wenn die Osmanen (Türken) – die schon zur Zeit Judah Ben Samuels eine Macht am Bosporus waren, mit der gerechnet werden mußte – Jerusalem erobern, werden sie acht Jubiläen über Jerusalem regieren. Danach wird Jerusalem für ein Jubiläum Niemandsland werden, um dann im neunten Jubiläum wieder in den Besitz des jüdischen Volkes zurück zukommen – dies wird den Beginn der messianischen Endzeit markieren’. J.K., My understanding from my notes on the prophesy is that Jerusalem WILL be under control of the Jewish nation until the 10th Jubilee and that the tenth Jubilee concludes in 2017 and then the Messianic era begins. This implies Christ returns in 2017. I will reread the prophesy in the next few hours. I wonder if Dr. Green’s source for the prophecy was the 2008 Israel Today Magazine where I read about it. It was my understanding that the author of that article never revealed his or her sources of information. Thanks J.K. I got that from Patricia Green’s video. I will investigate further to verify. Cobus, you meant “each week being 7 years” didn’t you. It was 483 years from Daniel’s prophesy to the crucifixion with one week, 7 years, for the coming tribulation? A recent word from Sadu Sudar said that 70 years was very significant in God’s eyes in that it will be 70 years since the actual birth of Israel in November 1947 (not 1948) and that as Israel’s friend would help divide Israel so would the US be divided. Thanks for your information regarding the source for the prophecy. I guess we must rely on the integrity of the Editor Ludwig Sneider for the veracity of the prophecy. Thanks for the correction and that makes nonsense of my interpretation of the last week. Wonder where I got that from. Excellent post, James! Could another way of interpreting “this generation will not pass away until all these things take place” be: “all these things will take place before this generation passes away”? If so, that means the Lord could return sooner than 2037. …Meaning all these things could take place within that generation, not after a new generation begins. In the little research I’ve done “no man knows the day or the hour” I have been told actually translates into rosh hashanah and this feast is the only feast without a certain time to start because it only starts when a new moon is sighted, and the exact time is only when without question the new moon has arrived. Interesting!